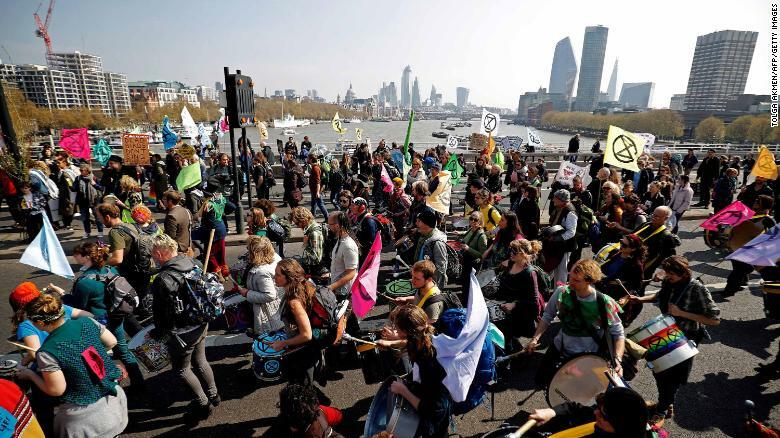 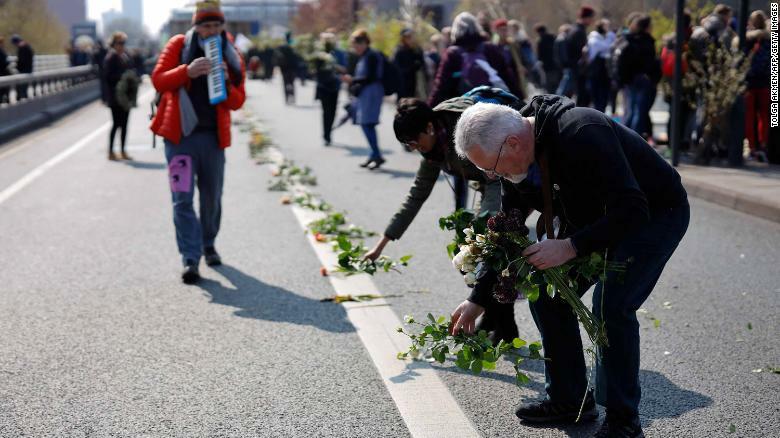 Thousands of people are expected to take to the streets of central London on Monday, blockading some of the UK capital’s busiest roads and bridges, and gluing themselves to street furniture, to raise the alarm over a mounting climate crisis. 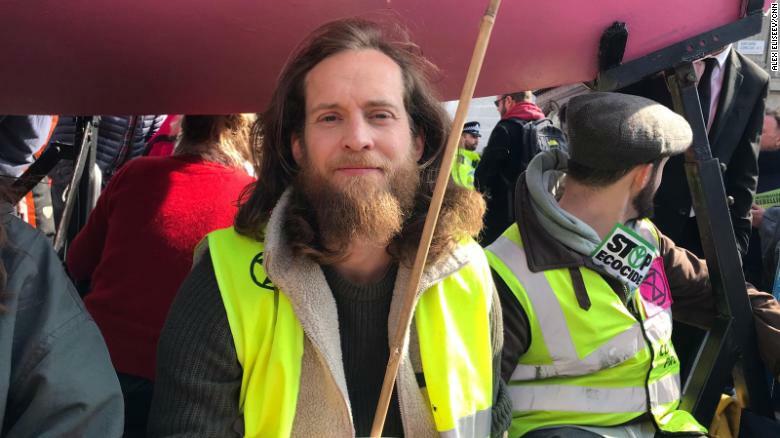 Extinction Rebellion protesters block Waterloo Bridge. 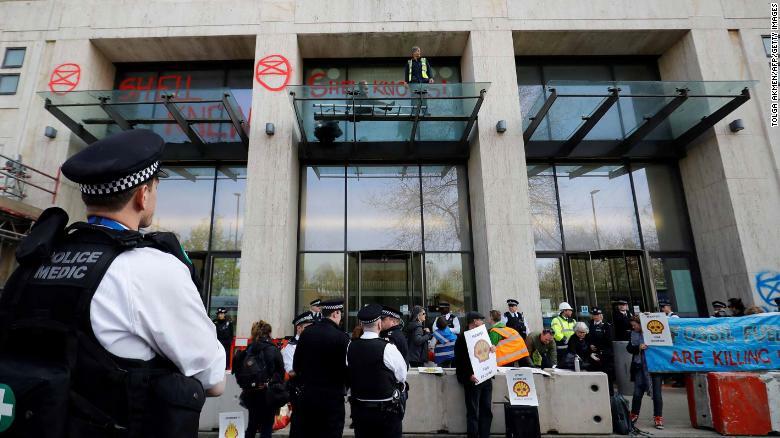 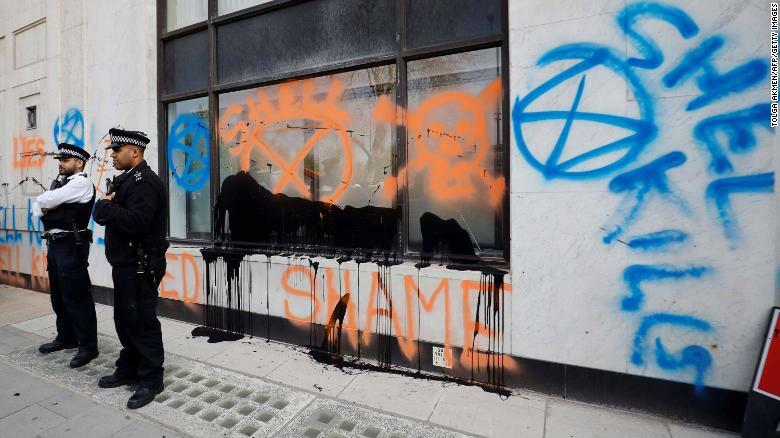 Demonstrators surround London’s Shell Centre. 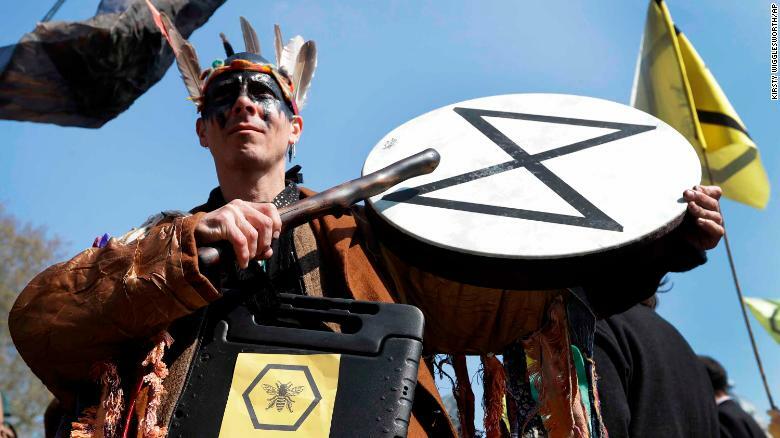 A demonstrator bangs a drum during a climate protest in London’s Parliament Square. 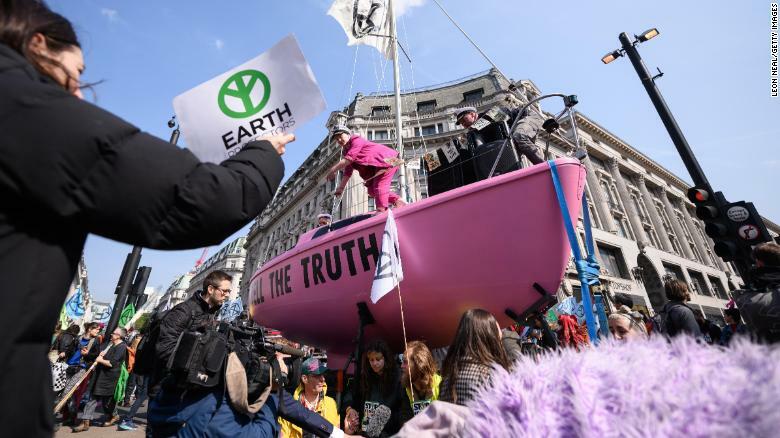 A pink sailboat with the message ‘Tell the truth’ blocks Oxford Circus.